Holiday parties are in full swing around here! Between the office, the classroom and friends we seem to be shimming the season away. 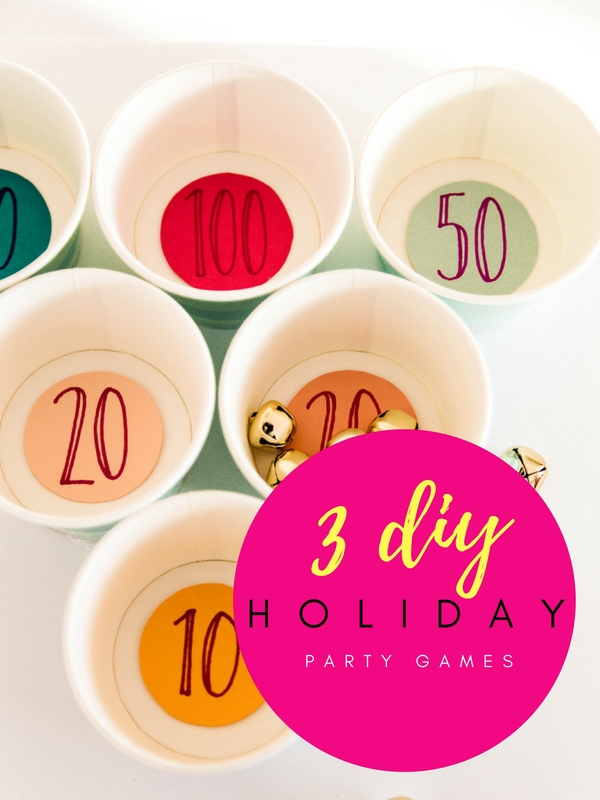 To ensure our parties are filled with fun and not too much of that awkward lingering around, we always like to throw a holiday party game or two in the mix. 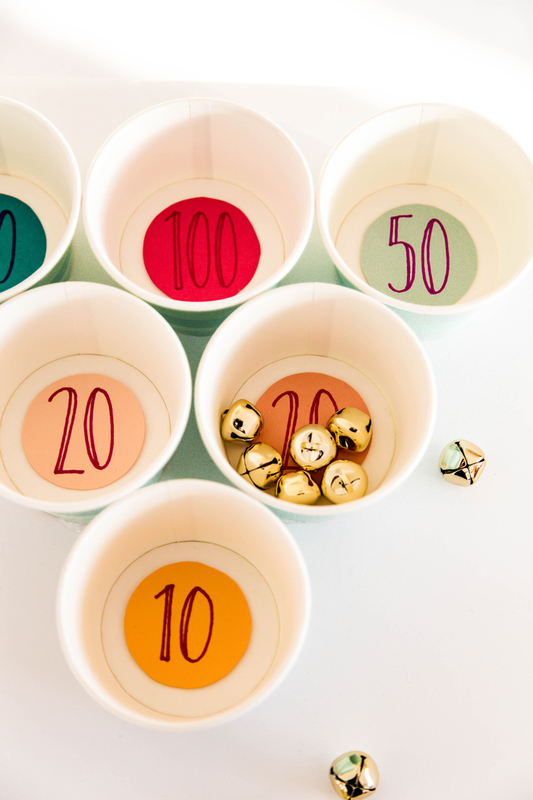 The thing about a holiday party game is that to be successful it must follow a few rules. Must be playable with one hand so a drink can be held in the other. Must be competitive, but not too crazy or messy, so as to not take over space. Must be easy enough to play whether the party guest is 5 or 65, we certainly don’t want anyone feeling left out. 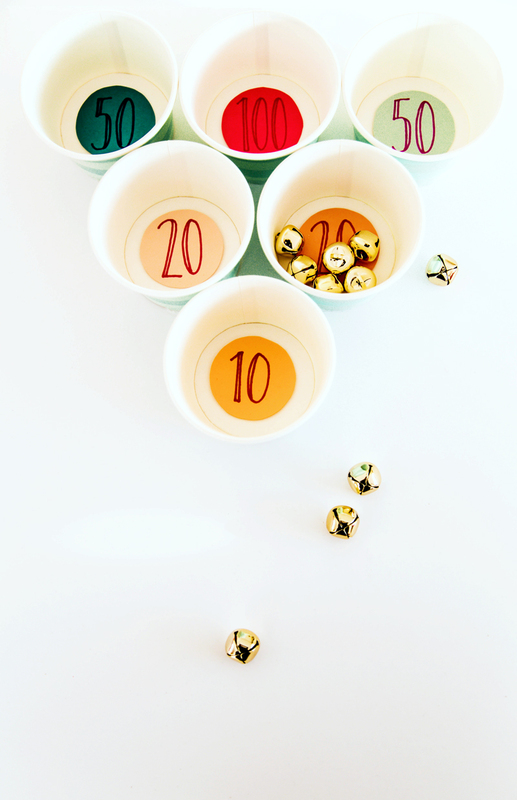 We created 3 fun holiday party game that can be crafted at home quickly and each of them brings with it that little extra oomph of fun for this season of revelry & parties. 1. Cut the foam board at 10″, 20″ & 22″. This will give you two 10″ boards and two 2″ pieces. 2. Hot glue each 2″ piece perpendicular on the underside of the 10″ board. This will prop the boards at an angle. 3. Cut 12 small circles of paper that fit in the bottom of the cups. Using a sharpie write point values. Glue paper at the bottom of the cups. 4. Hot glue the cups at the top of each board in an upside down pyramid. To play this holiday party game: place each board across from each other, some distance away. Each team gets a handful of bells (you can determine how many) and takes turns tossing their bells into the board across from them. Whoever gets the most points wins! 1. 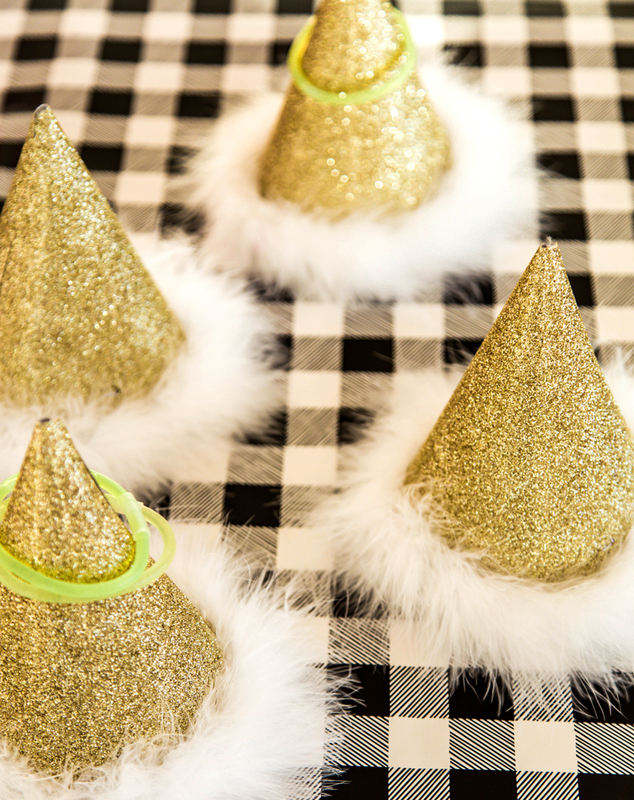 Glue and cut the feather boa along the bottom edge of each party to make Santa hats. 2. Crack and fold glow sticks into rings. To play: place hats some distance away in a random placement. Try to toss the glow sticks onto the hats! 1. Cut out small triangles for the snowman noses. 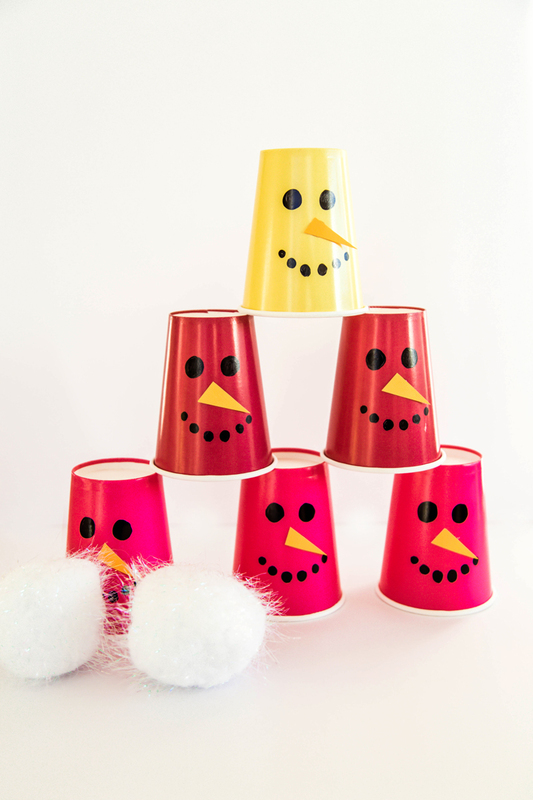 Glue to the front of each upside down cup. 2. Draw on eyes and mouths with a black sharpie. 3. Stack the cups in a pyramid. 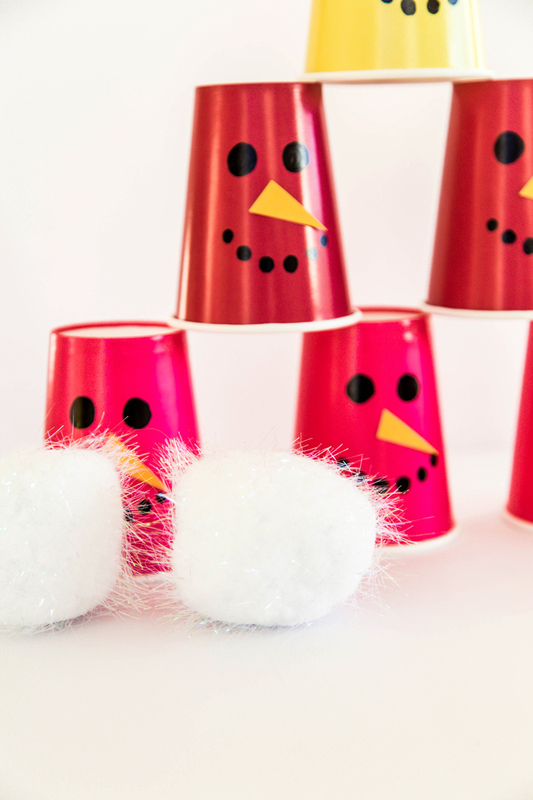 To play: Throw snowballs and try to knock down all the cups! P.S. 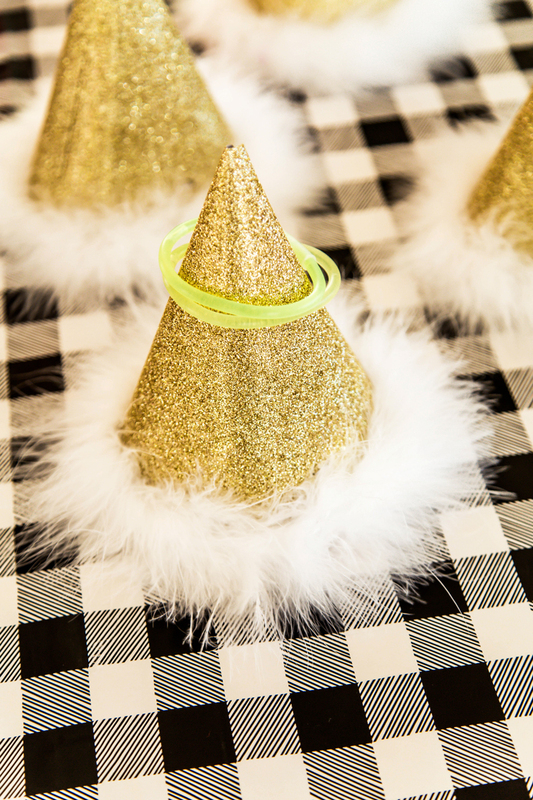 Holiday Party Hacks to ensure that all your holiday party game go perfectly!